Sequels, remakes, and soft reboots. This was Hollywood’s modus operandi in 2016, where the big screen was dominated by familiar faces and even more familiar settings. This included blockbuster throwdowns (Batman v Superman: Dawn of Justice, Captain America: Civil War), belated sequels (Finding Dory, Jason Bourne), beloved remakes (Ghostbusters, The Jungle Book) and spinoffs (Fantastic Beasts and Where to Find Them, Rogue One). Even films that qualify as “original,” like Deadpool or Doctor Strange, are poised to become franchises of their own. 2017 will provide more of the same. Fortunately, there will also be a well of material (book adaptations included) that has never before been seen on film. So whether in the market for science fiction, biopics, or classic drama, these projects are the perfect antidote for anyone suffering from franchise overload. Here are Screen Rant’s 15 Amazing Movies Coming In 2017 That ARE NOT Remakes Or Sequels. At long last: The Dark Tower. It’s been a decade since J.J. Abrams first took charge of the project, and in that time, it's taken on many forms. The original plan was to adapt Stephen King’s novels into a seven movie franchise-- one which was revised to a trilogy and two seasons of television under Ron Howard. Now, with Danish filmmaker Nikolaj Arcel running the show, things will take an even more distinct approach. 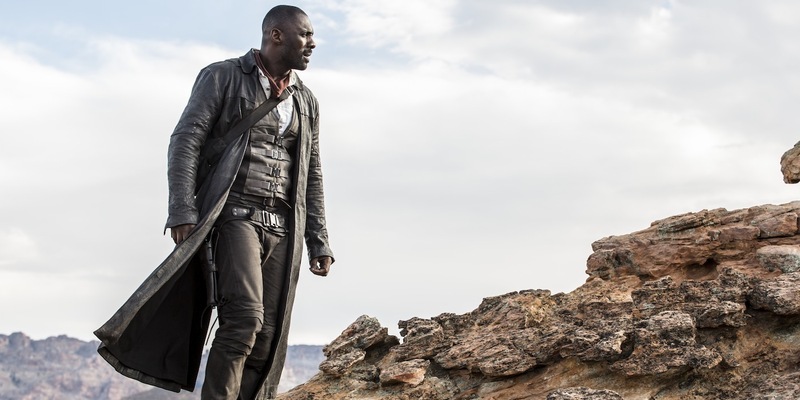 The Dark Tower will neither be an adaptation nor a reboot, but a new take on the story set after the events of the final book. Arcel and King (who serves as a producer) have gone a step further in this distinction by making no mention of future films, and hinting only at the idea of a TV series set within the same continuity. Given this information, the film will be an industry rarity: the one-and-done summer blockbuster, focused on satisfying fans without having to worry about sequel plans. Having talent like Idris Elba and Matthew McConaughey also eases the pressure. 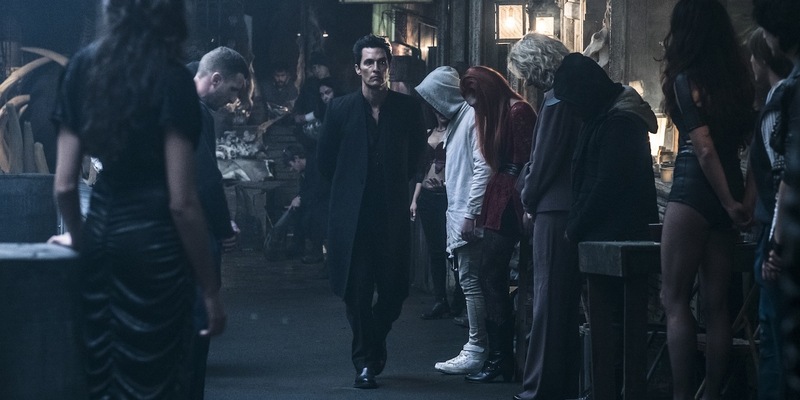 The Dark Tower is set for release on July 28th. Alex Garland broke in as a writer, penning the scripts for 28 Days Later (2003) and Sunshine (2007) with director Danny Boyle. But it wasn’t until his debut behind the camera with Ex-Machina (2015) that Garland became a key industry player. He earned an Academy Award nomination for Best Original Screenplay, and was lauded for his detailed, intelligent approach to science fiction. This is a strength that's been translated over to his newest project Annihilation. Based on the novel by Jeff VanderMeer, Annihilation joins an expedition as they venture into an environmental disaster zone. Made up of a biologist (Natalie Portman), a psychologist (Jennifer Jason Leigh), an anthropologist (Gina Rodriguez), and a surveyor (Tessa Thompson), the team must cope with the history of suicide and mental trauma that has plagued the area for decades. It is the technically the first of VanderMeer’s Southern Reach Trilogy, but Garland has voiced no plans to adapt the other stories. As of right now, it is simply a standalone standout for the 2017 season. No announced released date. 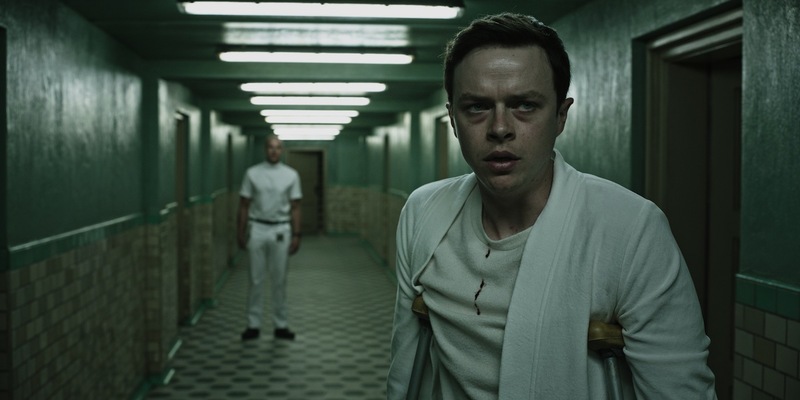 A Cure for Wellness trails businessman Mr. Lockhart (Dane DeHaan) when he's sent to retrieve his boss from a “wellness center” in the Swiss Alps. Once there, Lockhart begins to suspect foul play on the part of the center’s director (Jason Isaacs), but finds himself suffering from the same illness that afflicts the other patients. He meets an equally unraveled mind, Hannah (Mia Goth), in the process. Wellness has many forebears, from the Martin Scorsese thriller Shutter Island (2010) to the American remake of The Ring (2002), a breakout success for this film’s director: Gore Verbinski. After a decade making blockbusters like the Pirates of the Caribbean saga and The Lone Ranger (2013), Verbinski returns to his roots with a gothic, fluorescent sensibility. It's this assured style, and imagery like the trailer’s “therapy eels”, that could very well elevate the film from average fare to unsettling gem. A Cure for Wellness is set for release on February 21st. Based on the novel by David Kertzer, The Kidnapping of Edgardo Mortara tells the story of a young Jewish boy living in Italy in 1858. After being secretly baptized, he is taken from his family and raised as a Christian, causing his parents to engage in a legal battle with the Papacy. 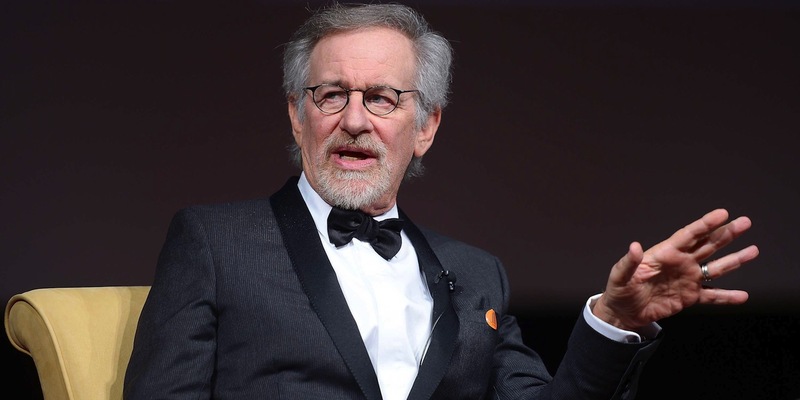 Typically, such a small film would suffer from lack of promotion, but in the hands of director Steven Spielberg, Mortara will likely get its fair share of exposure. Spielberg (who’s been attached to the project for some time) begins production in 2017 with a script by playwright Tony Kushner, and according to Deadline, will be set "for release in the fourth quarter of that year." To further add fuel to this religious drama, Spielberg has landed two of the busiest actors currently working. Academy Award winner and Spielberg regular Mark Rylance will play Pope Pius IX, while Oscar Isaac will inhabit a role that has yet to be determined. With this talent in tow, The Kidnapping of Edgardo Mortara poses a promising non-franchise venture for the director before Ready Player One hits theaters in 2018. No confirmed release date. Make no mistake, this movie has nothing to do with Frosty. Based on the chilling novel by Jo Nesbø, The Snowman chronicles the disappearance of a woman whose pink scarf is found wrapped around a snowman. 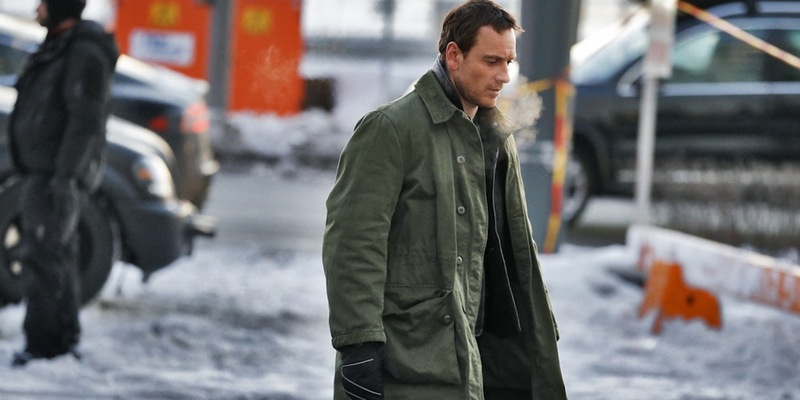 Evidence is scarce, and detective Harry Hole (Michael Fassbender) is called in to investigate, where he begins to suspect it is the work of a serial killer. Transfer officer Katrina Bratt (Rebecca Ferguson) joins Hole on this journey, igniting both his buried passions and his suspicions as to whether she is the guilty party. Early images indicate The Snowman will have similarities to The Girl With The Dragon Tattoo (2009)-- violent, snowy, and spilling over with obsessive characters. Director Tomas Alfredson is a perfect choice to adapt the Nesbø novel. Having previously explored the intricacies of death in Let The Right One In (2008) and paranoia in Tinker Tailor Soldier Spy (2011), this neo-noir will be a stylistic slam dunk. The Snowman is set for release on October 13th. Terrence Malick isn't concerned with sequels. In fact, every project in his oeuvre speaks in direct opposition to Hollywood tradition: indulgent, uneven, and difficult to follow. As evidenced by his last film, the maddeningly elusive Knight of Cups (2015), he’s more concerned with bottling moments than he is making coherent narratives. And this looks to be the case once again with Song to Song, the ensemble drama that's slated for next year. Its premise is predictably thin, covering the music scene in Austin, Texas, and the intersecting love triangles that result, but the real story here is the cast. Song to Song will have the best cast of 2017. The jaw-dropping roll call includes Ryan Gosling, Rooney Mara, Christian Bale, Cate Blanchett, Benicio del Toro, Natalie Portman, Haley Bennett, Val Kilmer, Holly Hunter, Patti Smith and Michael Fassbender. Phew. Granted, Malick is notorious for leaving whole performances on the cutting room floor, but even a fraction of this billed talent will make for a must-see movie experience. Song to Song is due out on March 17th. Joel & Ethan Coen sure like to let ideas simmer. They spent over a decade crafting the Hollywood pastiche that was Hail, Caesar! (2016), and now, they deliver on an idea they've had since the release of their debut Blood Simple (1984). The film is said to be a mystery-comedy set in the small town of Suburbicon, where the best and worst of humanity is put on display. But when a home invasion goes bad, a picturesque family resorts to blackmail and betrayal to get what they want. Inhabiting this bizarre world is a flock of Coen favorites like Julianne Moore, Matt Damon, Josh Brolin, and Oscar Isaac. The catch here, however, is that the Coens will simply serve as co-writers, as they are currently adapting the detective novel Black Money (1975). The duo will instead leave directing duties to their Hail, Caesar! star George Clooney, who will also co-write and produce the film. Suburbicon has yet to receive a release date, but production is currently underway in Los Angeles. Hell Or High Water was a sleeper hit in 2016, and much of the praise was rightfully given to its screenwriter Taylor Sheridan. He created a western landscape befitting of our current society, where right and wrong were luxuries that the lower class simply couldn't afford. It's a theme that first appeared up in the Sheridan-penned Sicario (2015), and one that’ll continue to be explored in next year’s Wind River. As Sheridan’s directorial debut, the film will travel to a Native American reservation, where an FBI agent (Elizabeth Olsen) and a veteran gametracker (Jeremy Renner) team up to solve a local murder. A by-the-numbers plot on paper, Sheridan will again prove that the magic is in the execution. On why he chose to use this particular locale, the writer spoke to Collider earlier this year, explaining: “In these remote regions, where there are less people, the consequences are more acute… so it’s a little easier to point the microscope. There are ties about purpose and forging morality.” Wind River is set to premiere at the Sundance Film Festival on January 21st. Jennifer Lawrence’s ability to play older women knows no bounds. She’s done it in Silver Linings Playbook (2012), American Hustle (2013), and Joy (2015), each time to the tune of an Academy Award nomination. 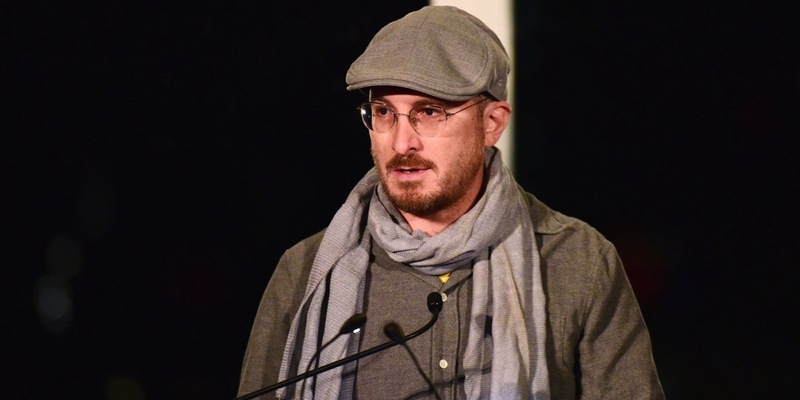 Now, under the detailed eye of director Darren Aronofsky, Lawrence will play yet another older woman-- the titular role in Mother. While details have been scarce, the basic premise is as follows: a couple have their relationship put to the test when uninvited guests barge into their home and invade their privacy. There's not much else to discuss, but the supporting cast is reason enough to get excited: Javier Bardem, Domhnall Gleeson, Michelle Pfeiffer and Ed Harris. It also looks as though Aronofsky is returning to the intimate scale of masterpieces like The Wrestler (2008) and Black Swan (2010) after the muddled blockbuster that was Noah (2014). Mother begins shooting in Montreal this June, laying good odds that it’ll be released before the year comes to a close. If so, we wouldn’t be surprised to see Lawrence snag another nomination. Edgar Wright is such a staple of modern comedy that it's easy to forget he only has four feature films to his name-- the most recent being The World’s End (2013). 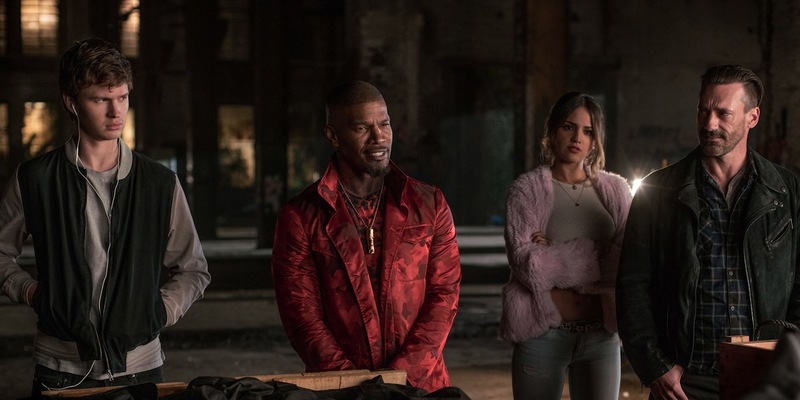 Thankfully, after a tenure as writer and producer on Ant-Man (2015), Wright is back in the director’s chair with Baby Driver, a loaded action-comedy. Ansel Elgort plays the titular Baby, a music fanatic who moonlights as the getaway driver for four different bank robbers. The sweet position quickly turns sour, however, when a heist goes wrong and Baby is left in the middle of four conflicting agendas. Wright is sure to bring his colorful wit and style to the fold, but the biggest draw here might just be his criminal lineup: Bats (Jamie Foxx), the short-fused gunman, Buddy (Jon Hamm), the slick charmer, Griff (Jon Bernthal), the tough bruiser, and Doc (Kevin Spacey), the quirky crime boss. Wherever the twists and turns of the script decide to venture, Baby Driver looks like a ride worth taking. The film is set for a U.K. release on August 11th and a U.S. release on August 18th. 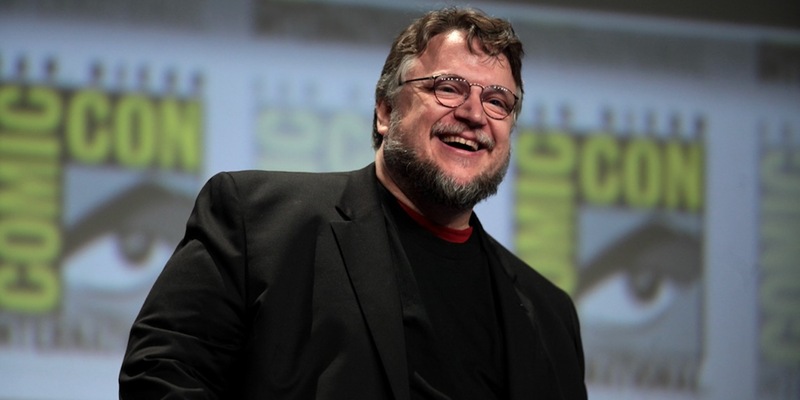 Another secretive project from a top director, The Shape of Water will be Guillermo del Toro’s tenth feature film. Billed as a fantasy adventure-- like nearly all his works-- Water will tell the story of Elisa (Sally Hawkins), a mute janitor who works at a laboratory during the Cold War. Elisa encounters an “amphibious man” who has been captured and kept for study, whom she then falls in love with and conspires with her neighbor (Richard Jenkins) to set free. The plot is not dissimilar to a dramatic version of Splash (1984), but it’s safe to assume that del Toro’s skill as a storyteller will push the film into more emotional territory. The Shape of Water will also follow in the grand tradition of del Toro films that mesh fantasy with real world concerns. In this case, being America circa 1963, issues of gender, equality, and communism will undoubtedly come into question as Elisa follows her heart. A release date has yet to be set, but the film has announced its cast, which includes Michael Shannon, Octavia Spencer, Michael Stuhlbarg, and Doug Jones. Evil aliens have long been an adversary in science fiction. They capture all that is frightening about the unknown, the vast corners of the galaxy that could easily demolish mankind. This is precisely what director Daniel Espinosa is going for in Life, the space thriller that looks to combine Ridley Scott’s Alien (1979) with Alfonso Cuarón’s Gravity (2013). Here, a crew of six astronauts collect a sample study from Mars and return it to the International Space Station. 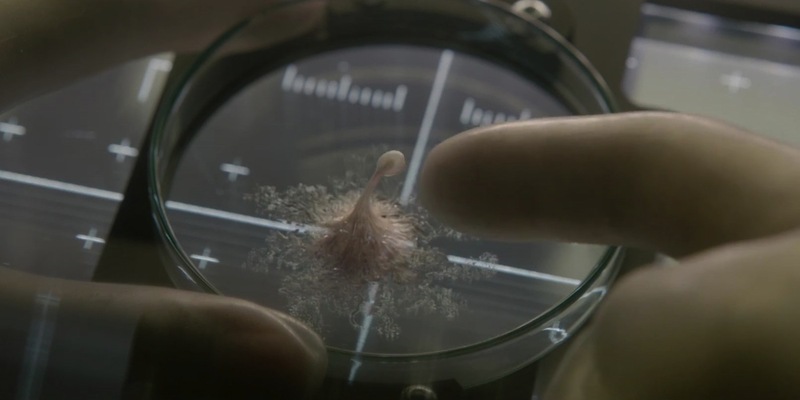 Once there, they determine the organism is the first ever proof of extraterrestrial life-- one that quickly leaves the crew in a desperate fight for survival. Amidst all the onscreen chaos, Espinosa will command a cast of Jake Gyllenhaal, Rebecca Ferguson, Ariyon Bakare, Hiroyuki Sanada, and Ryan Reynolds. Not much has been revealed in the trailer, but there is clearly an emphasis on tension and performance, to which this talented crew will excel. It will ultimately fall to Espinosa and screenwriters Paul Wernick and Rhett Reese to give Life a chilling, unique voice. The film is set for release on March 24th. 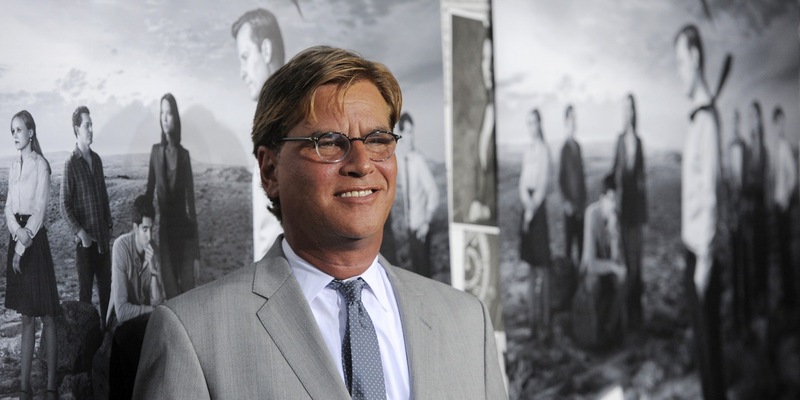 As a writer, Aaron Sorkin’s fascination lies with the individual. In The Social Network (2010), Moneyball (2011), and Steve Jobs (2015), he sketched portraits of men whose fame was outweighed only by their complexities. Now, as a first time director, Sorkin will set his sights on the female side of success with Molly’s Game. Based on the memoir by Molly Bloom, the film will chronicle her unlikely switch from Olympic-class skier to running the world’s largest underground poker game of pro athletes, movie stars, and Russian mobsters. In a film sure to pack the signature Sorkin punch, Molly’s Game will match its talent in front of the camera: Academy Award nominee Jessica Chastain will take up the title role, with Idris Elba set to play her criminal defense lawyer. On the A-list pairing, Sorkin told Variety that "the casting of Jessica and Idris in the two lead roles is any filmmaker's dream come true, they're two of the greatest actors of their generation, paired for the first time, and their chemistry will be electric.” Molly’s Game has yet to receive a proper release date. Between May 26th and June 4th, 1940, allied soldiers from Britain, Belgium and France found themselves trapped by the German army on the beaches of Dunkirk. Code-named Operation Dynamo, the evacuation and subsequent rescue was dubbed “a miracle of deliverance” by British Prime Minister Winston Churchill. Now, eight decades later, this miracle is getting the epic treatment from visionary director Christopher Nolan. Last seen purging the depths of outer space in Interstellar (2014), the blockbuster expert is breaking routine and telling a true story for the very first time. 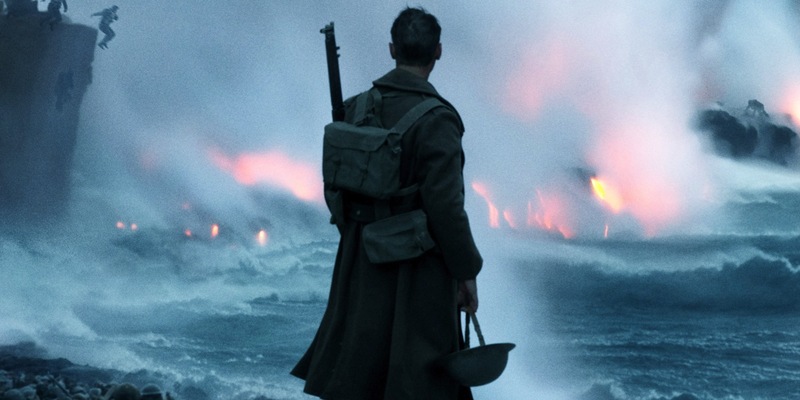 Making use of minimal CGI and an ensemble cast of Tom Hardy, Mark Rylance, Cillian Murphy, and One Direction singer Harry Styles, the film will transfer Nolan’s grand scale to the battlefield while also stripping the gloss of his more commercial work. If successful, Dunkirk could earn Academy Award buzz in the coming year. And while it may be a summer flick, this war drama is about as far from The Dark Knight (2008) as one could get. Dunkirk is set for release on July 21st. Adventures like Valerian and The City of a Thousand Planets don’t get made anymore. The scale, spectacle, and budget to tackle something like it are reserved solely for superheroes and their respective spinoffs. But Luc Besson is not one for compromise, and the action auteur (The Professional, The Fifth Element) has managed to turn it into the most expensive French film ever made at a budget of $197 million. “We reached a point where imagination is the limit,” Besson told SlashFilm, as he's spent decades trying to adapt the Valérian and Laureline comics he read as a child. 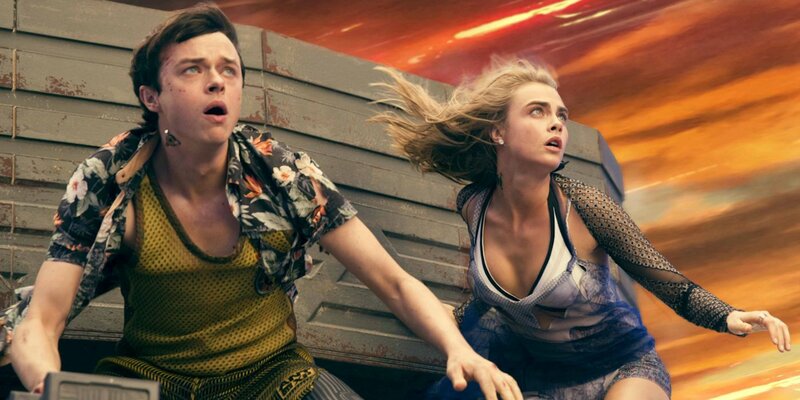 Valerian is loosely based on the story arc "Ambassador of Shadows," which follows the main duo (Dane DeHaan and Cara Delevingne) as they travel through space and time. Under the orders of their commander (Clive Owen), they must travel to the Alpha city, where sinister forces threaten the future of mankind. Early trailers have given us glimpses of this exciting world, and in true Besson form, it makes for a hypnotic meld of music (The Beatles’ “Because”) and pop-colored visuals. Valerian is set for release on July 21st.